Yeah, I couldn't help myself. Had to take this shot from the Alligator farm. 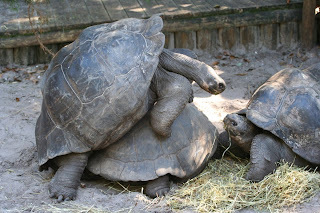 Who knew tortoises grunted and shells clunked together?